for $425,000 with 3 bedrooms and 2 full baths. This 1,681 square foot home was built in 1964 on a lot size of 6422 Sqft.. 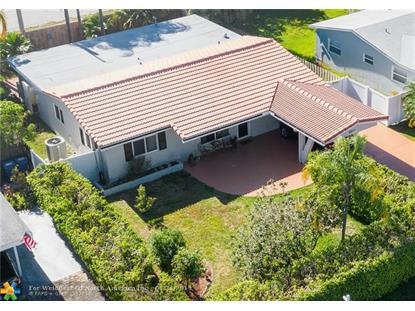 Private Coral Heights jewel extensively renovated with brand new plumbing ($25, 000 upgrade) and impact glass throughout! Features include an expansive and upgraded kitchen with granite counter-tops, ample wood cabinetry and stainless steel appliances, including a professional-grade gas range! Spacious yet cozy Florida Room with crown molding runs the entire length of home. Indoor laundry PLUS a large utility/storage room seldom found in surrounding homes. Extremely private, hedge-lined front yard with plenty of room for a pool and tropically landscaped back yard with wood deck. Excellent value in desirable and trendy neighborhood located only a few minutes from Oakland Park's Main Street/Culinary District, Wilton Drive and Fort Lauderdale Beach!